A man who was seen getting changed while driving on the A27 was stopped and reported by police officers this morning (Wednesday), according to a Sussex Police constable. 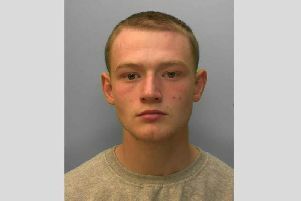 PC Tom Van Der Wee said he was travelling from Chichester to Worthing custody when he saw a car ‘swerving between lanes and nearly crashing’ just after Crossbush at around 5am. In a tweet, he added: “When you’re getting dressed in the morning do it at home rather than whilst you’re driving to work.